W.L. Goodfellows and Co. W.L. Goodfellows and Co. Welcome To Goodfellows! The Atlantic City Mainlands Most Popular Dining and Drinking Destination Since 1984. We believe a great meal begins with great ingredients and we only use the best to create our extensive menu. Our unique signature pastas and incredible fresh made Italian dishes are generations in the making. Some of our specialties include layered lasagna, lobster mac n' cheese, hand-tossed pizzas, fire-broiled choice steaks and sirloin burgers along with our slow-cooked baby back ribs. 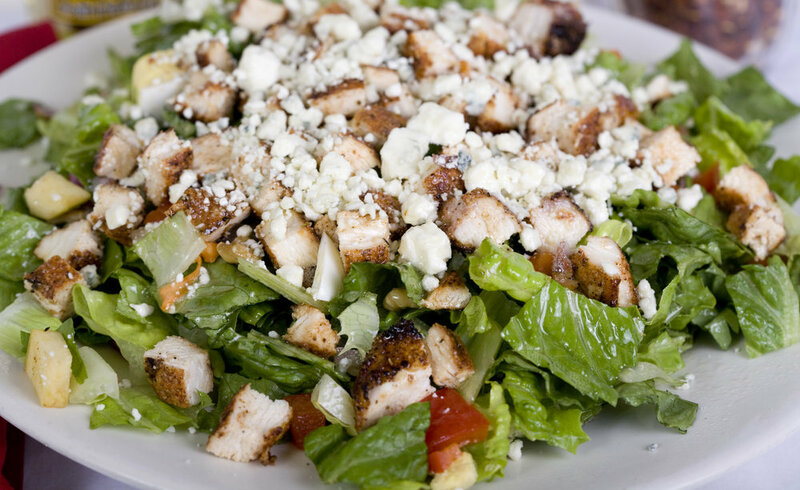 Entree' salads like our signature Chophouse, Caribbean Fiesta and Mango-Citrus salad and house-made dressings are a big favorite. Savor our comforting Rustic Chicken Pot Pie, full of roasted white chicken with lots of fresh vegetables and a flaky pastry crust. For dessert, we're known for our fresh baked cheesecakes. Choose from our classic NY style Madagascar Vanilla Cheesecake, our New Chocolate Reese's Peanut Butter Fudge Cheesecake, Fresh-glazed Strawberry and Rustic Blueberry! 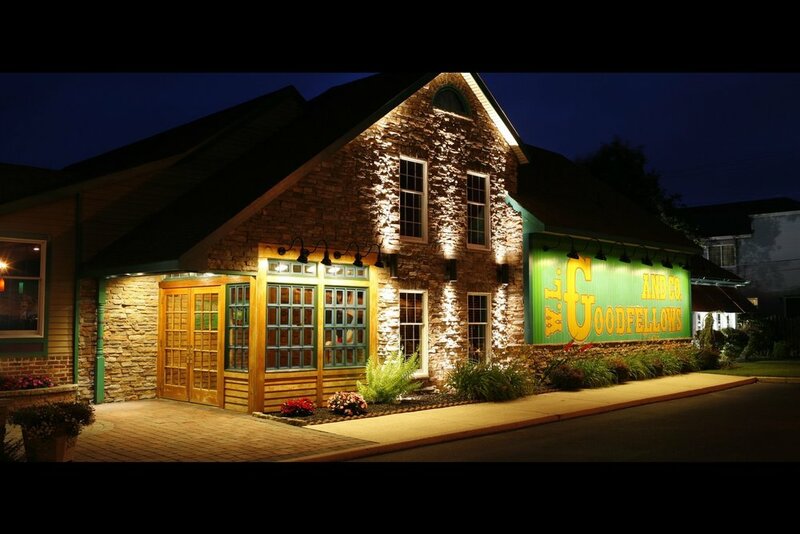 Once you experience Goodfellows, you'll know why it's the perfect place for friends, family and lovers of great food. Founded in January 1984, Goodfellows was a vision created by a father and two sons who saw an opportunity and the need for a casual dinner house restaurant serving great food and libations year round. A place where all were welcome to enjoy some great food and hospitality. Thirty-four years later we continue to invite everyone to Goodfellows. Goodfellows Restaurant and Pub is a popular, well known Atlantic City Mainland Eating and Drinking landmark serving a diverse menu to a wide audience. Our cozy, comfortable environment is ideal for celebrating special occasions, hosting a business lunch or gathering for a delicious meal with friends and family. Open daily for lunch and dinner, Goodfellows has something for everyone offering a selection of freshly prepared foods using only the finest ingredients available. It's All About The Food and drinks! 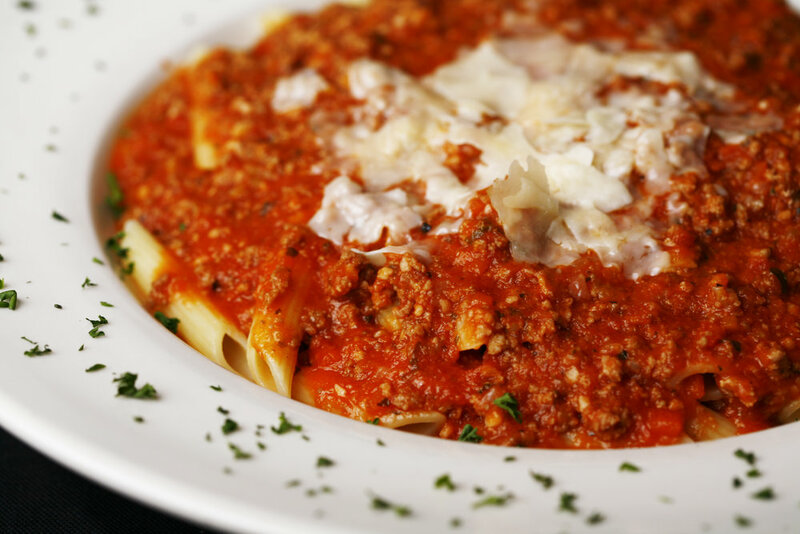 What makes Goodfellows so special is...we make it from scratch! We have spent years perfecting our recipes and creating delicious food. Specialties like Hand-Rolled Meatballs, Homemade Italian Pasta, French Fried Lobster Tails, Seafood Sautes' and Stir-Fry's. Indulge in dishes like our Cheese Lasagna built layer after layer, Hand-Stretched Pizzas from our Homemade Dough, Fresh-Cut Choice Steaks, Lobster, Shrimp and Seafood, Baby Back Pork Ribs, Chicken Pot Pie, Specialty Salads, and Sandwiches and more. Let's talk Burgers! We've been building Big-Juicy-Burgers for years from freshly ground cuts of sirloin. To make each one of our Burgers and Sandwiches perfect, we serve them with our Craft-Made Special-Brine Pickles! Let's not forget Goodfellows signature Cheesecakes, baked fresh and creamy including our delicious New York Style Cheesecake, Rustic Blueberry Cheesecake, Strawberry Cheesecake and now Reese's Pieces Double Chocolate Fudge Cheese! Our bar is a comfortable gathering place to relax after a day at work, to catch a game or share an appetizer with friends. The menu features signature cocktails, chilled martinis, premium and ultra premium spirits, specialty non-alcoholic beverages, an extensive wine list, and imported and American craft beers. When you step inside Goodfellows you will discover an environment that is warm and comfortable. The interior of our restaurant feature rich woods, brick, Italian blown glass and colorful Tiffany lamps all used to create a certain warmth. As a well known dining and drinking landmark, Goodfellows does not rest on our reputation, we ask ourselves daily how we can improve and continue to raise our standards in every area of the restaurant... the variety of our menu, the quality and presentation of our food, and the efficiency of our service. It was our Great Grandfather Nicholas Forte that Co-founded the San Giorgio Macaroni Company along with his cousin Girolamo Guerrisi. San Giorgio evolved from the Keystone Macaroni Company with only a handful of employees. Our father told us the story of how he remembers his grandfather Nicholas designing and sketching the "San Giorgio" logo, you'll notice to this day the very same logo appears on every box of San Giorgio pasta, it depicts Saint George as he slays the great dragon, hence San Giorgio! Our father's memory is limited since he was a young boy at the time, but, he told us how they sold their long spaghetti noodles by the pound out of a small neighborhood store front in Pennsylvania. Nicholas then began marketing their pasta to other businesses and restaurants from the area, if fact my father used to ride along with his uncle's Louie and Carmen Forte as they delivered boxes of their homemade pasta to local stores in and around Philadelphia. Our father began his food career in 1960 in Atlantic City, New Jersey, at Garwood Mills by the inlet section of the city. There along with Garwood Mills you would find the famous Captain Starn's Restaurant and Fishing Pier along with the Sea Lion shows and speed boat rides aboard the Miss Atlantic City. 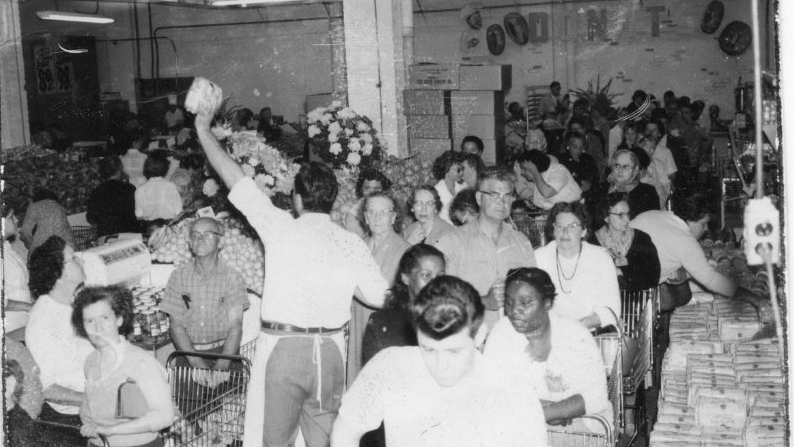 Garwood Mills was the equivalent to today's large retailers. 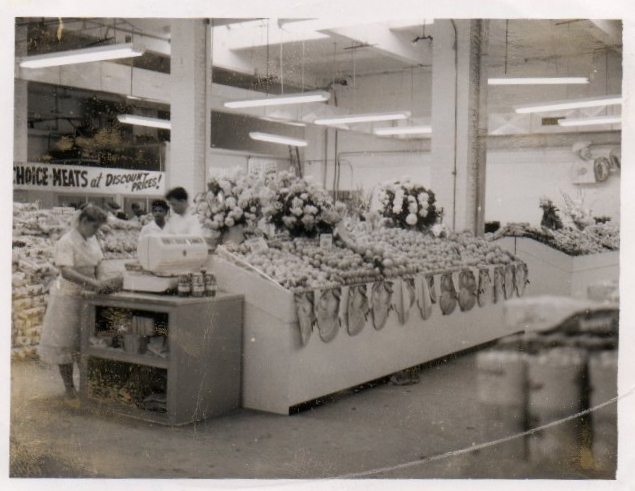 It was there our father owned and operated one of the area’s most successful deli's and produce stores serving sliced meats, cold cuts and produce to all of Atlantic City. Four years later in 1964 he opened Chick's Restaurant in the seashore community of Brigantine, New Jersey. 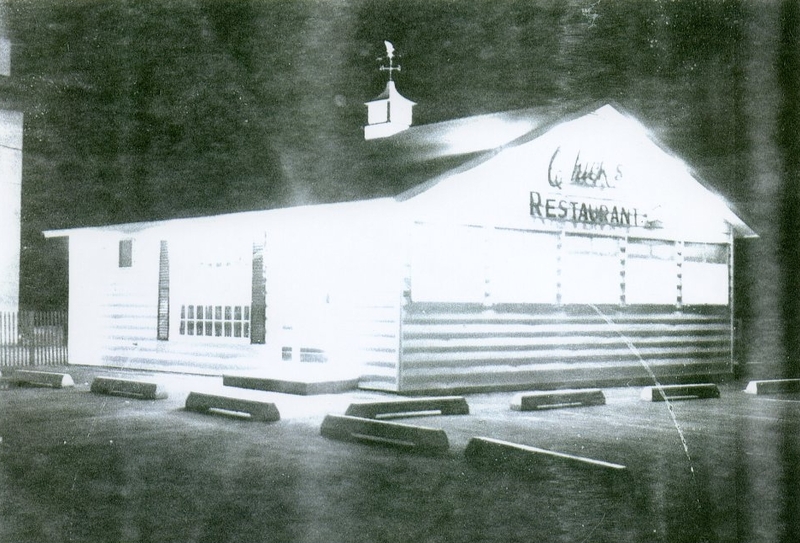 Chick’s was located at 1st and Brigantine Ave, on the beach overlooking the Atlantic Ocean. Chick's became an Island institution and a well known landmark for many vacationers from Canada, down through New York, North Jersey, Pennsylvania and the Delaware Valley. For the next twenty-two summers he successfully operated Chick's being known for great food at the New Jersey shore. Over the years he created many delicious dishes but the one he became well known for was his creation of the French Fried Lobster Tails, becoming known as the "Home of the French Fried Lobster Tails!" We sincerely hope our commitment to customer service, excellent quality food and value will bring you back to Goodfellows time after time and that your dining experience at Goodfellows is an enjoyable one. We are committed to maintaining the reputation we have earned over the years for exceeding customer expectations. Our Family represents six generations of restaurateurs, manufacturers and lovers of great food and we know what's important to our customers. In order to ensure the highest quality, we use only the best ingredients and family recipes that have stood the test of time and millions of customer approvals for years. Feel free to drop us a note if you have any questions. Join us on Sunday, May 12, 2019. Bring the entire family and friends Too. We've been putting thousands of smiles on moms face for 35 years! It's the perfect way to celebrate your mom's special day. Let us make it a Mother's Day she won't soon forget...scrumptious! Our chefs are busy creating a menu filled with sweet and savory culinary specialties. You'll Enjoy Unlimited Trips To Our Copious Buffet So Come Hungry! Some Of The Specialties Will Include Breakfast Favorites, Made-To-Order Omelettes, Hot Cakes, Sausage Gravy and Biscuits. Seafood, Pastas, Italian, Chilled Salads, Tempting Fresh Baked Sweets, Fresh Cut Fruits, Breads, Bagels, Pastries, Cakes and Confections. Olive Oil and Italian Herbs. with mayo, celery, almonds and red grapes. Sweet Peppers, Onions, Cherry Peppers and White Wine. Each Brunch Buffett includes your choice of one tall glass of orange or cranberry juice. Excludes alcohol, cold and hot beverages, tax and 18% Service Charge. Menu subject to change without notice, buffet items will change and rotate as required. All buffet selections may not be served concurrently or may run out as demand dictates.